← Could injury scupper Varane’s long-rumored Man United transfer? 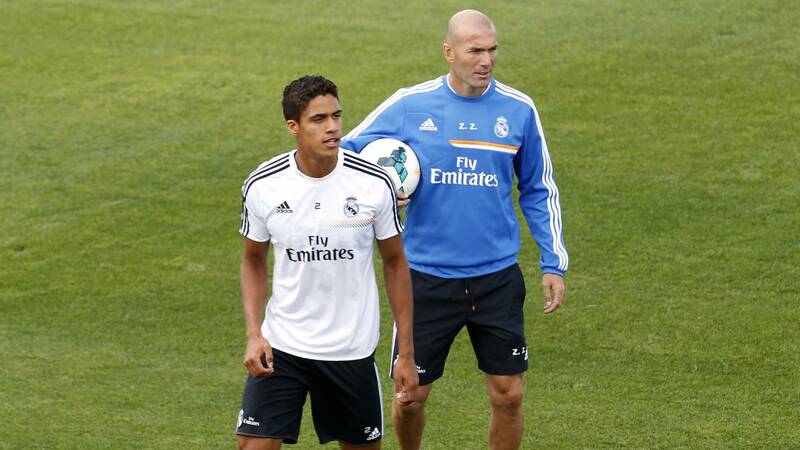 Zinedine Zidane oozes “serenity and tranquillity” at Real Madrid and is “very different to Jose Mourinho”, says Raphael Varane. The France international defender has worked with both coaches during his time at Santiago Bernabeu. He was signed by Mourinho in 2011 and won the Liga title under the Portuguese before his return to England at Chelsea, and now Manchester United. Varane has, however, enjoyed more success under countryman Zidane, including back-to-back Champions League triumphs, and admits to being an admirer of his way of working. The 24-year-old told France Football ahead of an international friendly date with England: “Zidane’s success comes from transmitting calm and never changing that no matter what is happening. “That serenity and tranquillity conveys confidence and security. He talks little but when he does, it matters. “I like how he acts very discreetly at important moments, it’s very different to Jose Mourinho. “There is a real harmony. Sometimes, in the locker room, it’s like we’re dealing with a team-mate. He is really comfortable with us, but he keeps a distance when it is necessary. Could injury scupper Varane’s long-rumored Man United transfer?